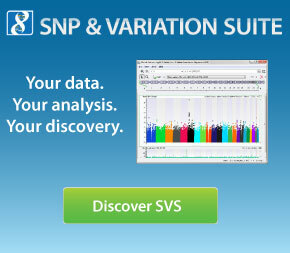 This tutorial leads you through family-based association analysis using the PBAT statistical package incorporated into SNP & Variation Suite 8. Covered workflows include data preparation, quality assurance testing, association analysis, and basic visualization of results. Golden Helix PBAT is developed in collaboration with Dr. Christoph Lange of Harvard University’s School of Public Health. The data used in this tutorial is for demonstration purposes only as it consists of simulated phenotypic information for the CEU HapMap samples. CEU - PED.csv - Actual pedigree information for the CEU HapMap samples (Phase III). CEU - SIM - PHENO.csv - Simulated phenotype and clinical data. 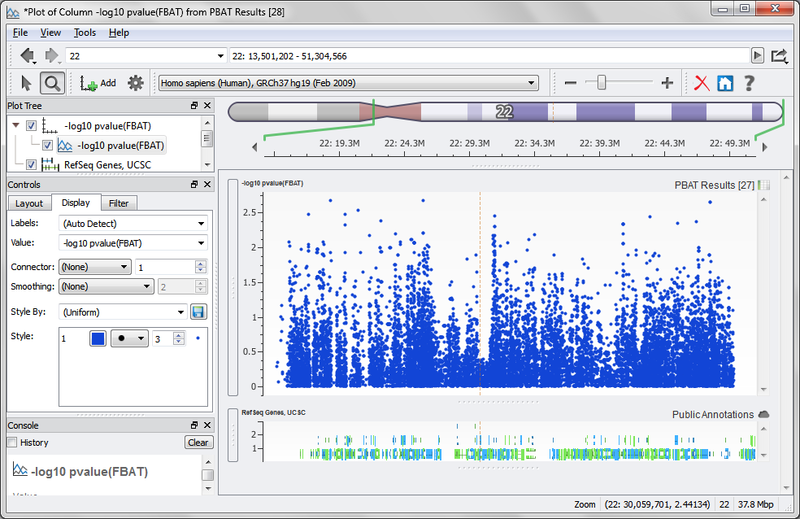 CEU - GENO - Chr22.dsf - Actual chromosome 22 genotypes for the CEU HapMap samples (Phase III) generated from a combination of Affymetrix and Illumina arrays.